All the items to help one adequately profess their love for another totaled $18.2 billion in 2018 or approximately $136.57 a person, according to the National Retail Federation. An expensive replacement to the words we are supposed to say and the letters we are supposed to write this holiday and many other holidays of which the true meanings are now buried beneath a mountain of commercialism. This year, instead of a story on the “best date restaurants” or “how to find love online,” I wanted to find a story capturing a piece of the Valentine’s Day holiday you do not see in stores or email pitches. It may have been about 500 miles away. But I found it. I jumped in a car around 8 a.m. on a Thursday morning and headed west on I-20. Hours went by and so did the cities bearing all the iconic West Texas hallmarks. Cisco, Abilene, Big Spring, Odessa. 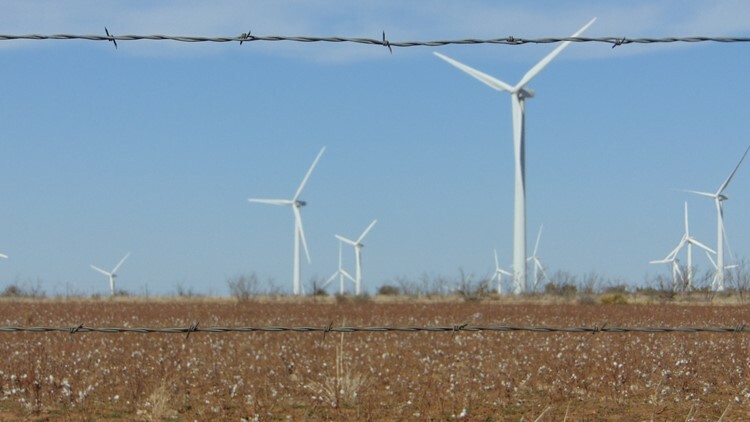 Wind farms, cow pastures, oil derricks, cotton fields. 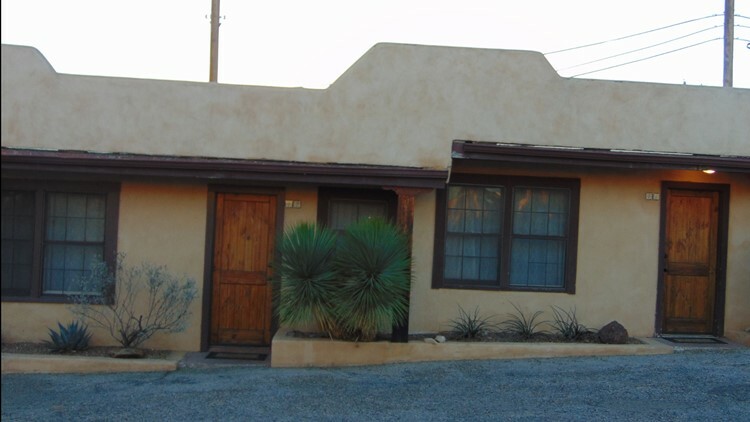 Nine hours later, I arrived in Alpine, Texas and checked into The Maverick Inn, a small motel with adobe style exteriors and rustic interiors. 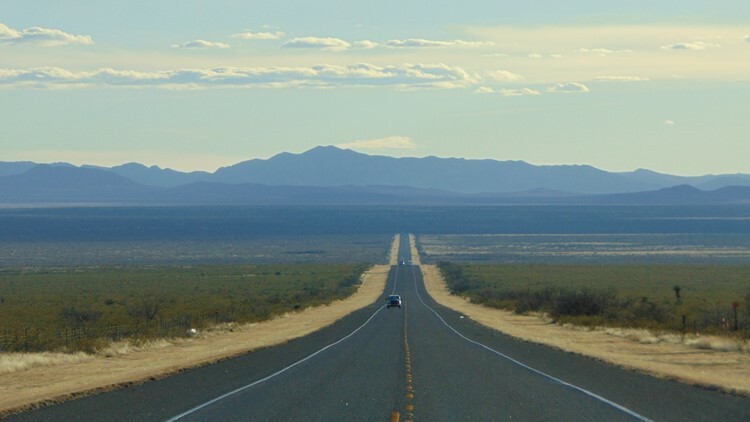 After settling in, I drove about 30 miles west to neighboring Marfa. 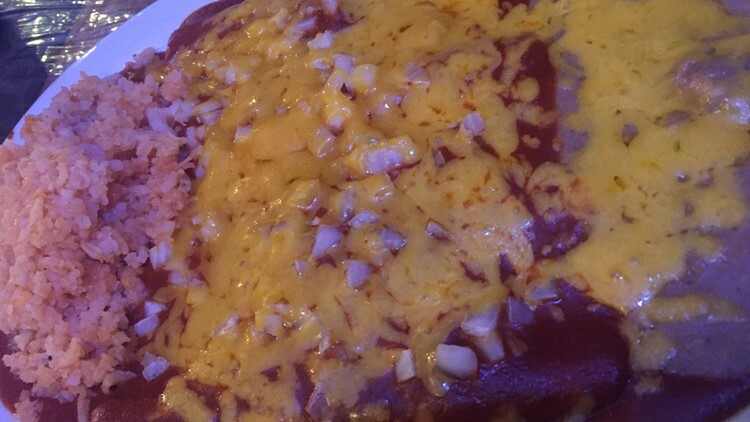 Seems neighbors in West Texas still like having plenty of space between them, but well worth it for some red enchiladas and chili rellenos at Mando’s Restaurant. By this time, the night was pitch black, revealing a sky filled with more stars than I thought possible to see with a naked eye from planet earth. Light pollution in the area is non-existent. There are no glowing street lights, no giant lit-up billboards. Instead, just total darkness yielding the perfect conditions to stare at the thousands of celestial bodies above as well as the curious phenomenon of the Marfa lights. The following morning, I would travel another 30 miles west to Marfa’s not-so-nearby neighbor and the final destination on the journey to tell an old-fashioned love story. 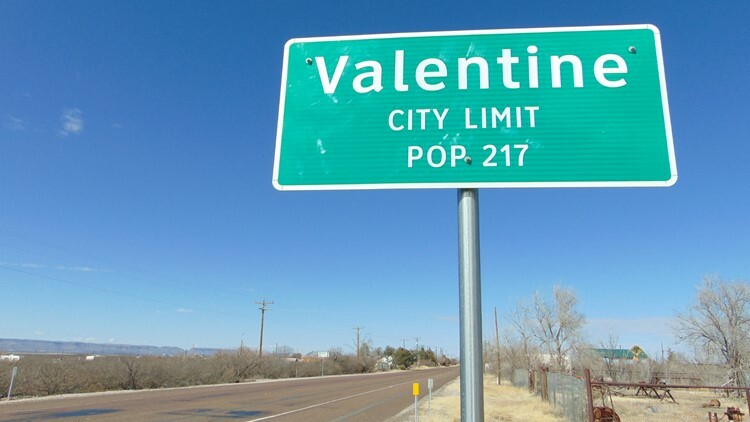 The city limit sign when you enter Valentine, Texas says “population 217,” but people here will tell you that’s being very generous. One of the few places I found signs of life was a small café on the edge of town where a woman named Kami Boyce greeted me with a cup of coffee. Looking around the oddly decorated café, you cannot help but notice the many images of James Dean. “The movie 'Giant' was filmed in Valentine,” Kami informs me. 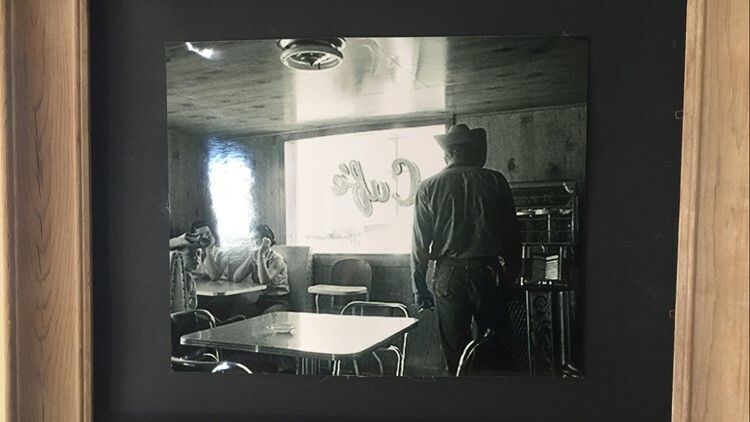 And some of the pictures hanging on the walls show Dean in this very café during the time he was filming the 1956 western film that also starred Rock Hudson and Elizabeth Taylor. Kami goes on to tell me about how the fortunes of Valentine took a turn when the town’s railroad depot closed down. 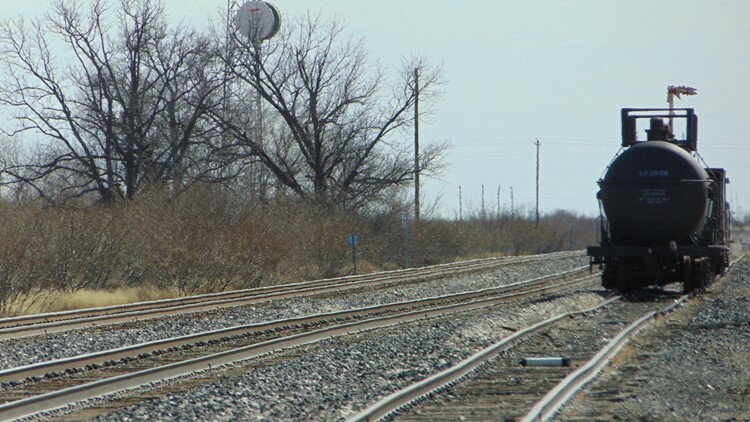 As the decades passed, idle rail cars and abandoned buildings gave it the classic ghost town look. But I did not come looking for 5-star dining or entertainment. I came for the building that sits right across the street from the café-turned-James Dean shrine. 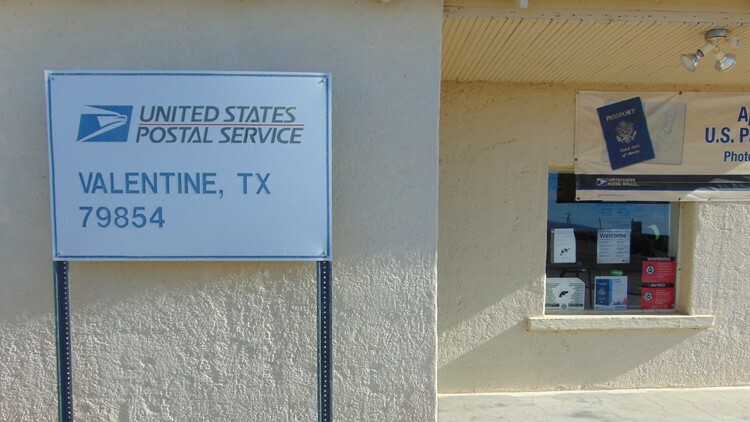 Inside that building, a single employee at the Valentine, Texas post office is busy at work. On a normal day throughout the year, Leslie Williams would have a fraction of the workload. But each day in the weeks before February 14 is a whole different world. On average, the tiny post office sees an influx of 12,000 love letters although Leslie remembers a year they received 30,000. Numbers that do not seem to fit with the town’s small population and isolated location. But it fits perfectly with the town’s name. And they come from all corners of the world for one small but lovely gesture. 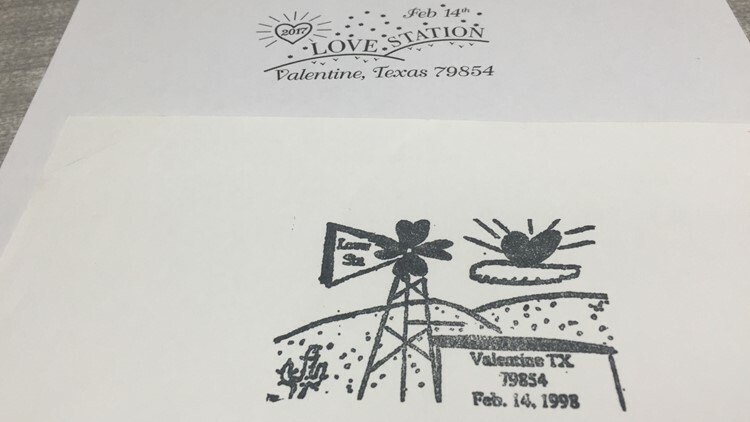 For the past 30 years, the Valentine post office has embraced their namesake and stamped each letter they send with a specially designed postmark usually depicting a heart, Cupid, or some other symbol of love. The postmark is something the few but proud youngsters of Valentine put forth plenty of effort to design. 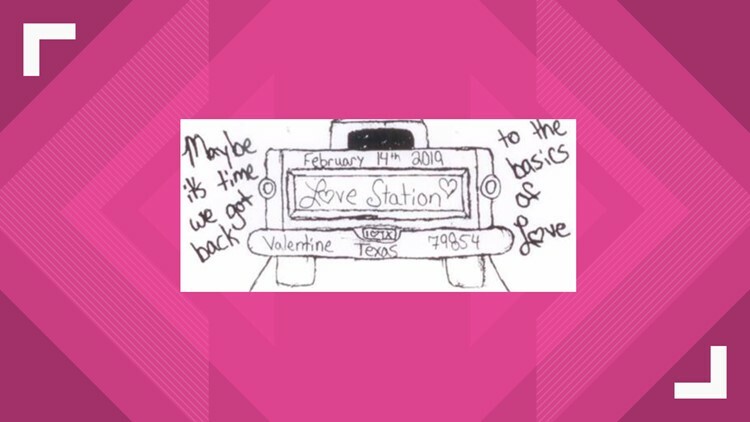 The United States Postal Service initially created the design when the tradition first started, but now students in the Valentine School district submit their designs every year and the city council makes a selection. The more recent designs couple one of the familiar symbols of Valentine’s Day with some depiction of Valentine, Texas. Windmills, cattle, the nearby Davis Mountain range or something to give the receivers of love letters across the world an idea of what life is like in the place where their love was sent and received. This year’s design by 8th grader Jordan Miller is the tailgate of a pickup truck flanked by the classic and appropriate verse from a Waylon Jennings song. 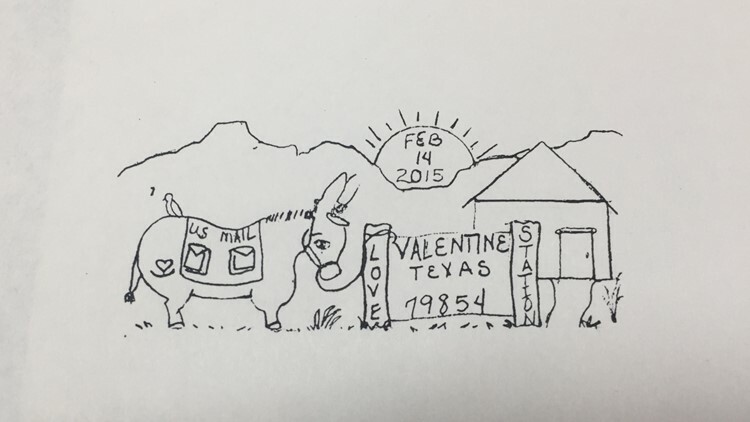 How exactly Valentine, Texas and its postmark become known all over the country and world, Leslie is not quite sure. She thinks the internet and especially social media have helped spread the word in recent years. And they are hardly alone. There is also a Valentine, Va. and a Valentine, Neb. along with several other relevant post offices in places like Bridal Veil, Ore. and Romance, Ark. that have their own similar postmark traditions. But Valentine’s history and lifestyle make it an almost poetic setting for a gesture so small and simple. Just a mile away from the post office, the well-photographed “Prada Marfa” store is a hit with passersby taking photographs to post on Instagram and Facebook. The art installation itself is a statement on the very commercialism which is non-existent in the Davis Mountains but dominates much of the world and fuels a lifestyle much different than the one you will find here. When you live life in a town of 200 and the closest grocery store is a 30-minute drive, you learn all your neighbors faces and names. You ask them if they need anything when you go “into town.” And you learn to express feelings of love without the chocolate, without the fancy bouquets, and without the Prada handbags. And that is the message Jordan Williams 2019 Valentine postmark will send along with the love letter to whomever it is addressed.